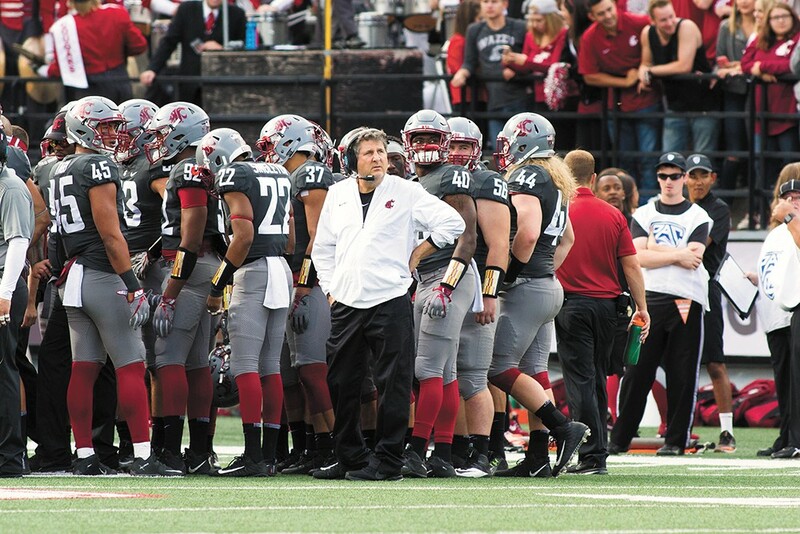 The WSU coach's eccentricities are legion, and divisive. His obsession with pirate stuff? Great, who doesn't love tales of adventure on the high seas? His campaigning for Donald Trump? Um, less endearing. While Coug fans probably wish Leach spent his summer trying to figure out a way to not get crushed by the Huskies in the Apple Cup again, Leach found himself in a couple of media maelstroms in the months leading up to the new season. In June, he was feuding with a USA Today columnist who found Leach's sharing of a conspiratorial, doctored Barack Obama video uncool, particularly coming from a coach at a public university. This month, state Sen. Kevin Ranker started asking questions about a trip to Cambodia Leach took in May with Spokane state Sen. Michael Baumgartner and some other state pols. While the coach was reportedly on the Asian tour on his own time and his own dime, Ranker was apparently concerned about the image of a WSU employee meeting with leaders of a repressive regime in Cambodia known for cracking down on dissent. Clearly Ranker is unfamiliar with how most college coaches run their programs. Maybe Leach was just looking for some new tricks to take to his Pullman practice field. The original print version of this article was headlined "HOW MIKE LEACH SPENT HIS SUMMER VACATION"